Dutch jurist; born in Leyden June 13, 1813; died there March 17, 1882. He graduated in law May 12, 1842. After practising law for some time he was, on the recommendation of his former teacher, Van Assen, appointed professor of Roman law at the University of Leyden (Dec. 31, 1858). As a writer Goudsmit is especially known through his "Pandect System," the first volume of which appeared in 1866, the second in 1880. This work was never completed; it was the first to treat the system in the Dutch language, and was translated into the French, English, and Russian languages. In 1873 Goudsmit made a tour of the United States, and described his impressions and experiences, especially those of New York, in "De Gids," 1874, ii. 79. He was made a member of the Dutch Royal Academy of Sciences, the Utrecht Society, the Society of Literature (Leyden), and the Academy of Jurisprudence (Madrid), and a knight of the Order of the Netherlands Lion. 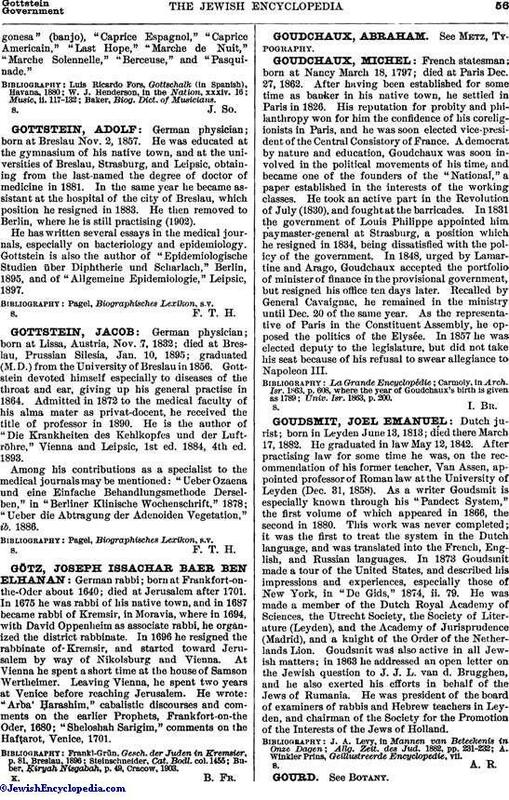 Goudsmit was also active in all Jewish matters; in 1863 he addressed an open letter on the Jewish question to J. J. L. van d. Brugghen, and he also exerted his efforts in behalf of the Jews of Rumania. He was president of the board of examiners of rabbis and Hebrew teachers in Leyden, and chairman of the Society for the Promotion of the Interests of the Jews of Holland. A. Winkler Prins, Geillustreerde Encyclopedie, vii.